Fischer, Marc L, Wanyu R Chan, William W Delp, Seongeun Jeong, Vi H Rapp, and Zhimin Zhu. "An Estimate of Natural Gas Methane Emissions from California Homes." Environmental Science & Technology (2018). Hart, Robert, Howdy Goudey, and D. Charlie Curcija. "Experimental validation for thermal transmittances of window shading systems with perimeter gaps." Journal of Building Performance Simulation (2018) 1 - 13. Pritoni, Marco, Rebecca Ford, Beth Karlin, and Angela Sanguinetti. "Home energy management (HEM) database: A list with coded attributes of 308 devices commercially available in the US." Data in Brief 16 (2018) 71 - 74. D'Oca, Simona, Anna Laura Pisello, Marilena De Simone, Verena M Barthelmes, Tianzhen Hong, and Stefano P Corgnati. "Human-building interaction at work: Findings from an interdisciplinary cross-country survey in Italy." Building and Environment 132 (2018). Chen, Yixing, and Tianzhen Hong. "Impacts of Building Geometry Modeling Methods on the Simulation Results of Urban Building Energy Models." Applied Energy 215 (2018). Therkelsen, Peter L, Jingjing Liu, Holly Grell-Lawe, and Randy Green. Implementation of ISO 50001 at Marine Corps Air Station Beaufort. Berkeley: Lawrence Berkeley National Laboratory, 2018. Lee, Eleanor S. "Innovative Glazing Materials." Handbook of Energy Efficiency in Buildings A Life Cycle Approach. Cambridge: Butterworth-Heinemann, Elsevier Inc., 2018. LBNL-2001193. Liu, Jingjing, and Paul Sheaffer. 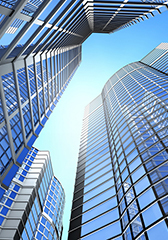 ISO 50001 for US Commercial Buildings – Current Status and Opportunities. Berkeley: Lawrence Berkeley National Laboratory, 2018. LBNL-2001129. Belafi, Zsofia, Tianzhen Hong, and Andras Reith. "A Library of Building Occupant Behaviour Models Represented in a Standardised Schema." Energy Efficiency (2018). Gallo, Giulia, Brian F Gerke, Jingjing Liu, Mary Ann Piette, Peter Schwartz, and Peter Alstone. "Mobilizing the Anti-Duck Brigade: Technology and Market Pathways for Load-Shifting Demand Response in California." 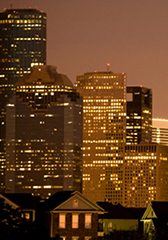 2018 Summer Study on Energy Efficiency in Buildings 2018. Wang, Wei, Jiayu Chen, and Tianzhen Hong. "Modeling occupancy distribution in large spaces with multi-feature classification algorithm." Building and Environment 137 (2018). Lee, Eleanor S, David Geisler-Moroder, and Gregory J Ward. "Modeling the Direct Sun Component in Buildings Using Matrix Algebraic Approaches: Methods and Validation." Solar Energy 160 (2018) 380 - 395. LBNL-2001102. Zhang, Rongpeng, Kaiyu Sun, Tianzhen Hong, Yoshinori Yura, and Ryohei Hinokuma. "A Novel Variable Refrigerant Flow (VRF) Heat Recovery System Model: Development and Validation." Energy and Buildings 168 (2018). Hart, Robert. "Numerical and experimental validation for the thermal transmittance of windows with cellular shades." Energy and Buildings 166 (2018) 358 - 371. Aghajanzadeh, Arian, Marshall English, and Collin English. Opportunities for Electricity Demand Management in Irrigated Agriculture. Berkeley: Lawrence Berkeley National Laboratory, 2018. Xu, Xiaodong, Fenlan Luo, Wei Wang, Tianzhen Hong, and Xiuzhang Fu. "Performance-Based Evaluation of Courtyard Design in China’s Cold-Winter Hot-Summer Climate Regions." Sustainability 10.11 (2018) 3950. Regnier, Cynthia, Kaiyu Sun, Tianzhen Hong, and Mary Ann Piette. "Quantifying the benefits of a building retrofit using an integrated system approach: A case study." Energy and Buildings 159 (2018). Singer, Brett C, and William W Delp. "Response of consumer and research grade indoor air quality monitors to residential sources of fine particles." Indoor Air 28.4 (2018) 624-639. Piette, Mary Ann, Rebecca Zarin Pass, Reshma Singh, and Tianzhen Hong. 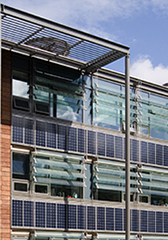 "Review of City Energy and Emissions Analysis Needs, Methods & Tools." 2018 Summer Study on Energy Efficiency in Buildings. 2018. Gerber, Daniel L, Vagelis Vossos, Wei Feng, Chris Marnay, Bruce Nordman, and Richard E Brown. "A simulation-based efficiency comparison of AC and DC power distribution networks in commercial buildings." Applied Energy 210 (2018) 1167-1187. LBNL-2001160. Guyot, Gaelle, Max H Sherman, and Iain S Walker. "Smart ventilation energy and indoor air quality performance in residential buildings: A review." Energy and Buildings 165 (2018) 416 - 430.